Ideal for a cool nights sleep, the women's Nelson 66 shortie pajamas in pink feature an allover arrow graphic in white for a lightweight, supersoft and stylish nighttime must-have. 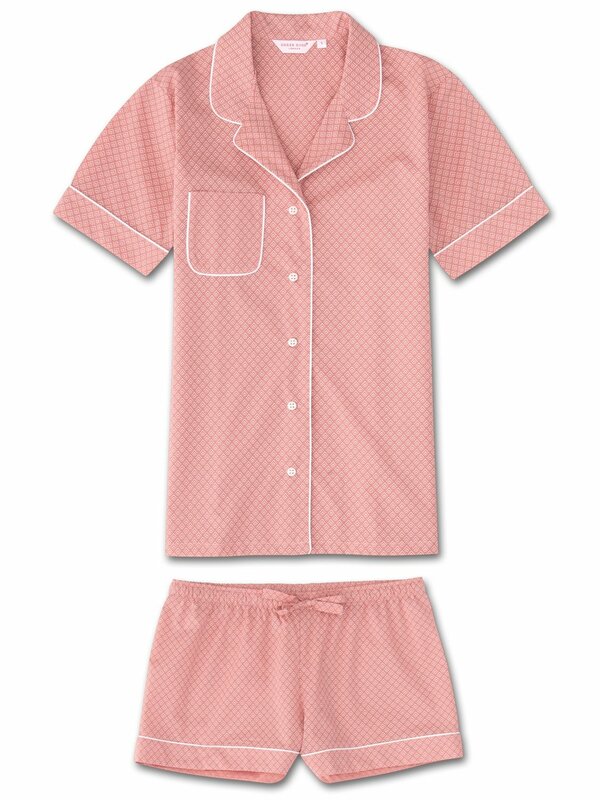 We are constantly striving for versatility for our customers, which is exactly why we wanted to develop a short pajama set for women. Designed for a flattering but comfortable shape that excels in warmer conditions, our women's shortie pajamas will keep you cosy, cool and effortlessly stylish at home. A firm favorite of our customers for its breathability, lightweight properties and luxuriously soft feel, our ultra-fine cotton batiste fabric has become a signature of Derek Rose quality. 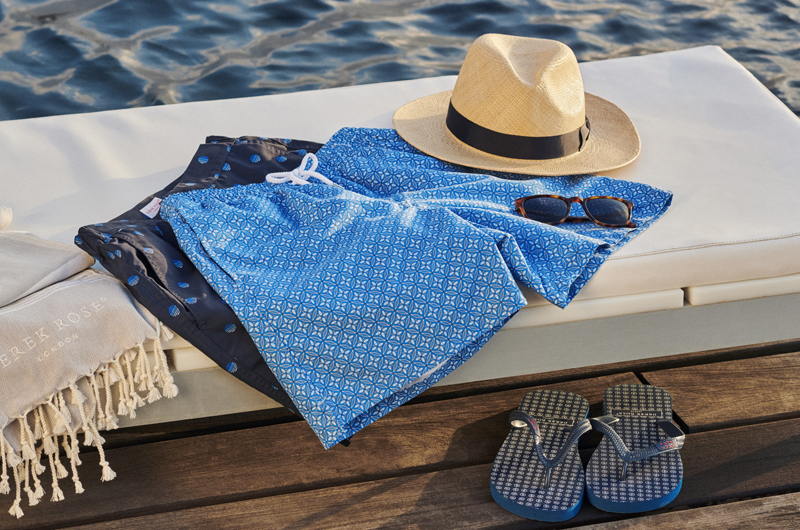 A dream to lounge or sleep in, our short PJ sets are perfect for travellers and vacationers, as they're not only comfortable in warm climates, but also light to pack and easy to carry. The Nelson 66 short sleeve jacket features a fully piped finish in a white trim, rounded feminine collar, a single patch pocket and mother of pearl buttons. The quality of craftsmanship continues with the shorts and their elasticated waist, piped cuffs and self-fabric drawstring for added comfort.